Manufactured in our own factory, Predator! poly/cotton rugby shorts are made to tough international standards, with two pockets, elasticated waist and tie cord. All Predator! 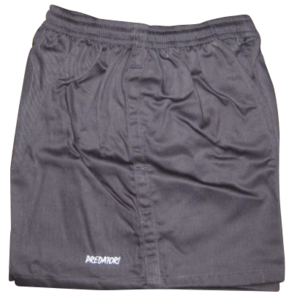 rugby shorts are available in waist sizes from 20" to 50". (Sets cannot be purchased on-line - please phone 01769-573706 to specify sizes required). As with all our clothing items, we can add your club logo or badge at extra cost.